A place for everything and everything in its place. Such should be the motto for your closet. While hiring an interior designer to create a custom walk-in may be the fantasy, it's not the reality for most of us. But the good news is: You can transform your closet all by yourself. 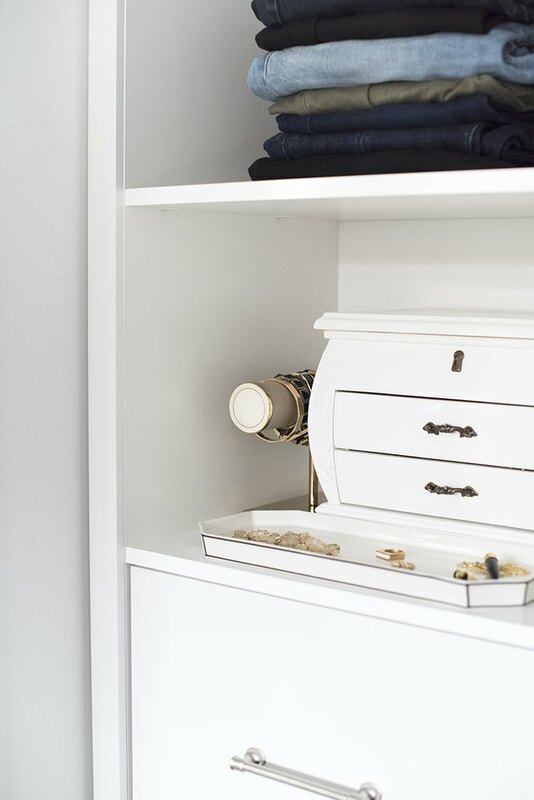 So empty out your prefab wardrobe and purge what you don't need, we are about to show you how to transform your closet by adding a few personalized details and clever storage solutions. 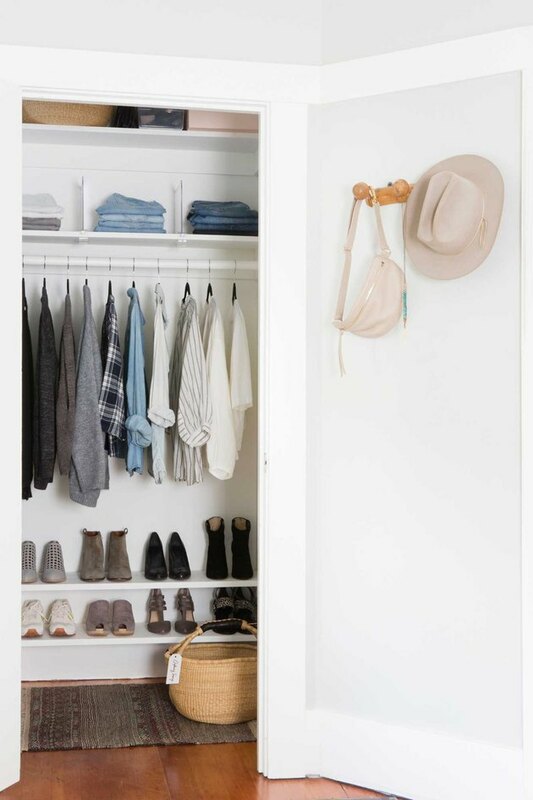 From discreet shoe racks and pull-out shelves to built-ins and hanging rods, scroll on for genius ideas to maximize storage, stay organized, and create the closet of your dreams. 1. Purge what you don't need. Before we get to the fun stuff, it's time for a little spring cleaning. Remove everything from your closet and get rid of all the things you no longer use or need. Consider having a yard sale, give your friend that top she always borrows, or donate your gently used clothes to those less fortunate. You're going to need every square inch of space. Now that you can see into your closet, take a few measurements. You need to know how much space you have to work with before you can transform anything. 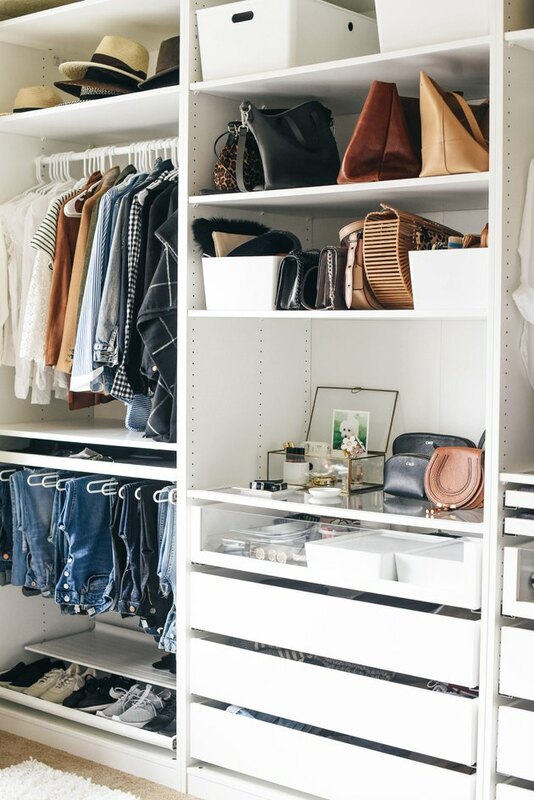 Once you know the dimensions of your closet, gather inspiration by perusing your fave shelter magazines and design blogs, or scrolling through #closet Insta posts. 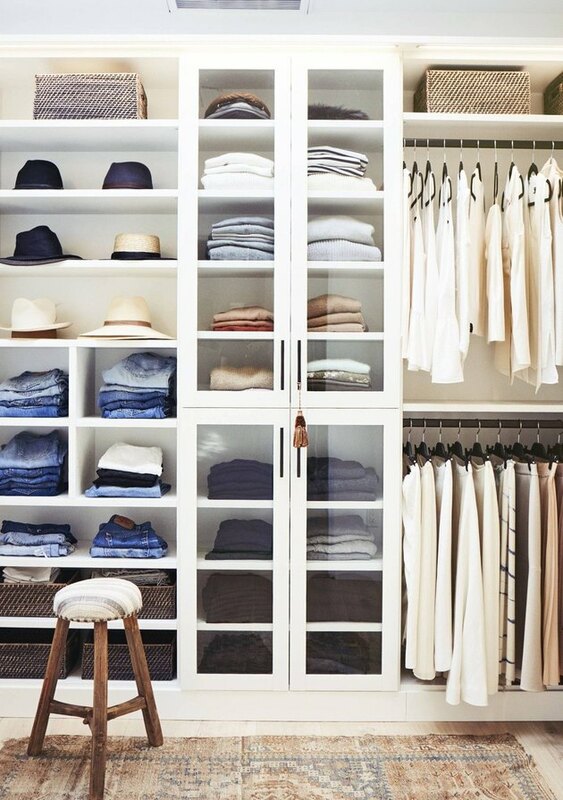 Sketch out a rough floor plan to give yourself a visual idea of what you want your closet to look like. And if going it alone makes you a little nervous, you can get a little help planning your space with design tools from EasyClosets or Organized Living. If you have a particularly impressive shoe collection, consider an open shelving unit. That way you can keep your prized pairs lined up in neat formation and see exactly what you have. If DIY projects aren't really your thing you can always buy shelving units from retailers like Ikea. 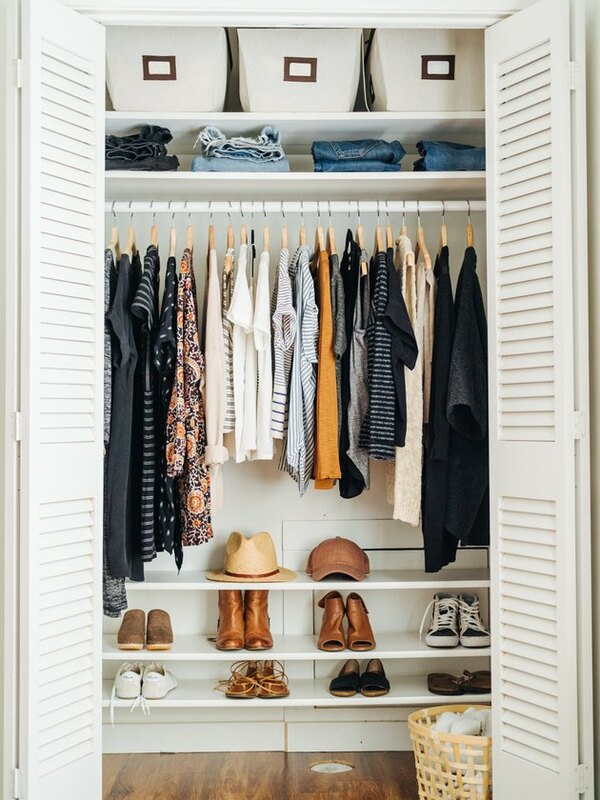 You've spent a lot of time and money curating your wardrobe, so don't be shy — show it off! Whether you choose shelving, cubbies, hangers, or cabinets with glass doors to display your threads, strategically group your clothes together in a way that will let them shine. 5. Install a lower hanging rod. Most prefab reach-in closets come equipped with a single top rod. Adding a second rod underneath effectively doubles your hanging space. Learn how to install here. 6. Stock up on skinny hangers. 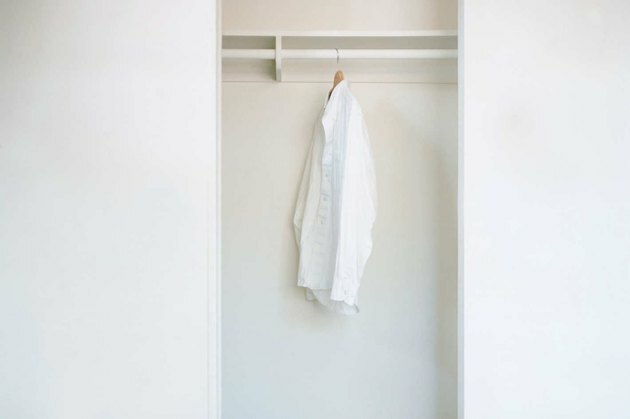 Maximize space by trading bulky hangers for slim, wooden ones in a uniform color, a la Sarah Vonh's closet. And for a more streamlined look, group similarly sized clothing items together. 7. Get your drawers in order. 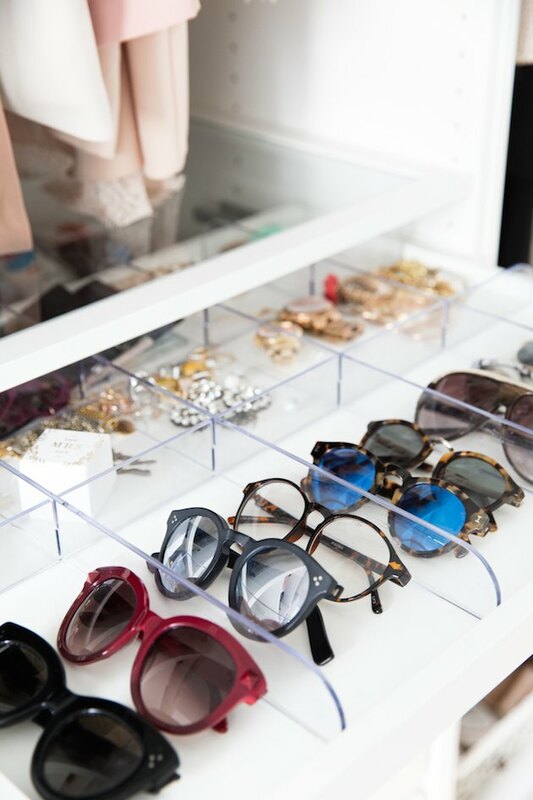 Drawer inserts are an organized closet's best friend. Perfect for storing sunglasses, watches, socks, undergarments, and other sundries. Now, if only there was something like this that could organize a purse. 8. Make sure you have a mirror. How are you supposed to make sure your outfit wows if you can't see yourself? A mirror is a must. There are so many different options: From a a functional over-the-door unit, to a slim wall-leaning design that can be tucked away when not in use. You can even upgrade your closet doors with mirrors. 9. 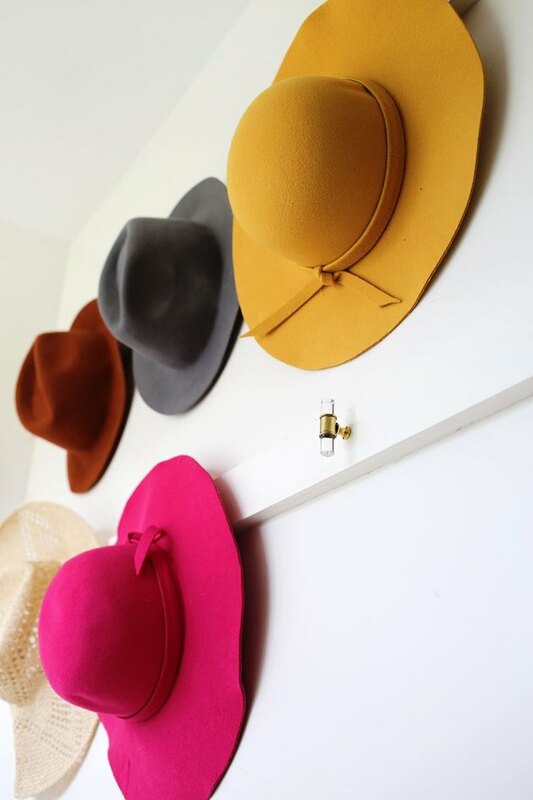 Use a slat of wood as a hat rack. Love hats? Don't hide your chapeaus in boxes in the back of the closet. Showcase bretons, bowlers, and boaters with wall-mounted hooks. I smell a DIY project coming. 10. Give your jewelry a home. A dedicated spot for baubles is essential. 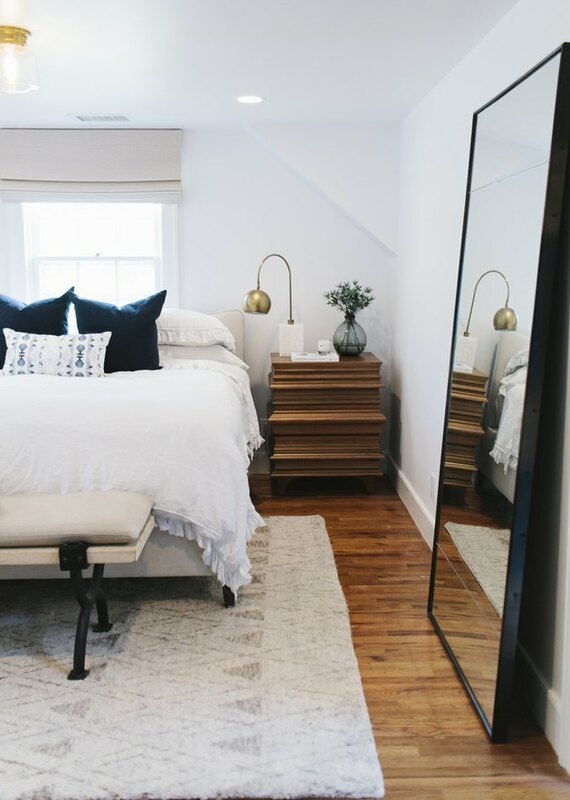 Take a cue from Sarah Gibson of Room For Tuesday with a jewelry box, bracelet stand, and a lacquer tray. 11. Or, display gems with a wall-mounted organizer. 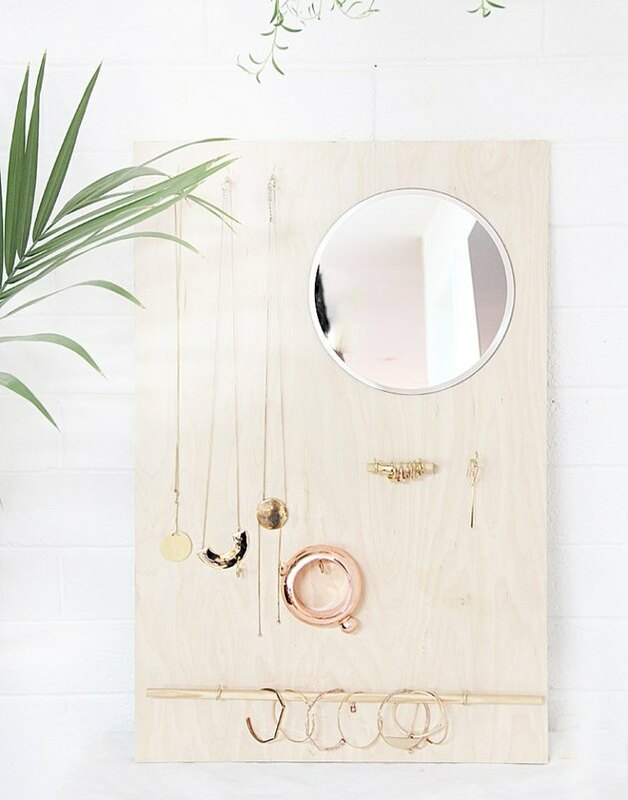 Flaunt your favorite trinkets and save (floor and drawer) space with a modern, wall-mounted jewelry organizer. Feeling crafty? This is a fun DIY project. 12. Add personality with a little wallpaper. 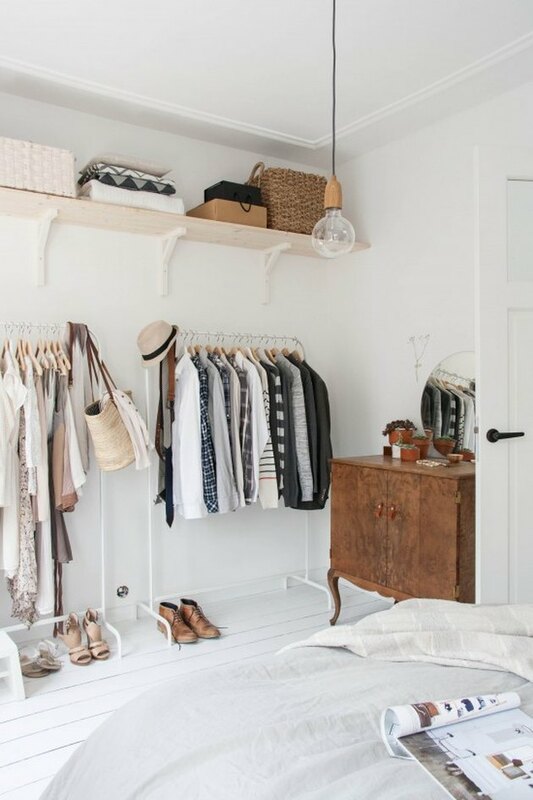 Don't be afraid to get a little creative with your closet. Add a little charm and personality by installing some wallpaper, like this from Livettes, to the back wall. And if wallpaper isn't your jam, you can always go with paint instead. Don't waste wall space. Mount stylish hooks or pegs on the wall or closet door for neck ties, scarfs, and other hanging items. No closet? No problem! Section off a dedicated area and create a makeshift closet using a combination of rolling racks and wall-mounted shelves. Opt for tonal hues that coordinate with your bedroom color scheme and furnishings. 15. Install additional shelving at the bottom of your closet. Most prefab closets already come with one upper shelf, but why stop there? Utilize the space below your clothes and install additional shelving for your kicks, hats, purses, you name it. This practical solution gives you a little extra storage space, while keeping your faves easily accessible when you need 'em. 16. Consider adding a dresser. 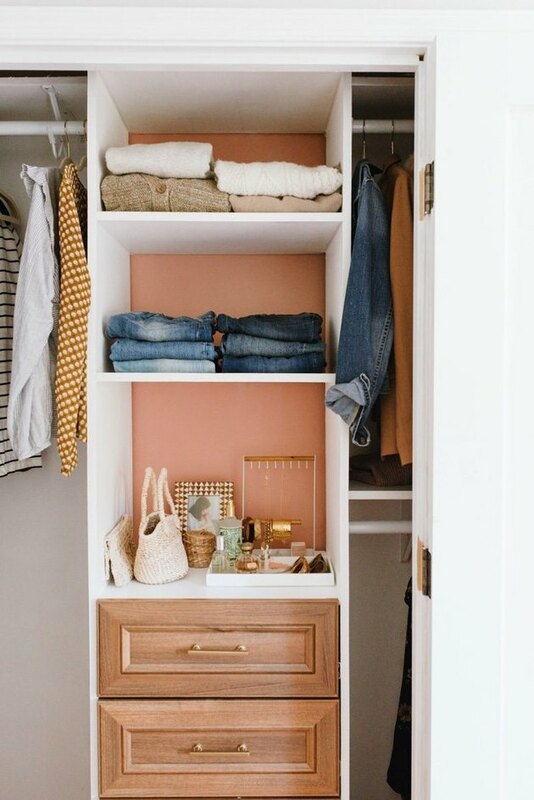 If you have the space, try adding a small dresser to your closet for a uniquely gorg way to increase your storage.